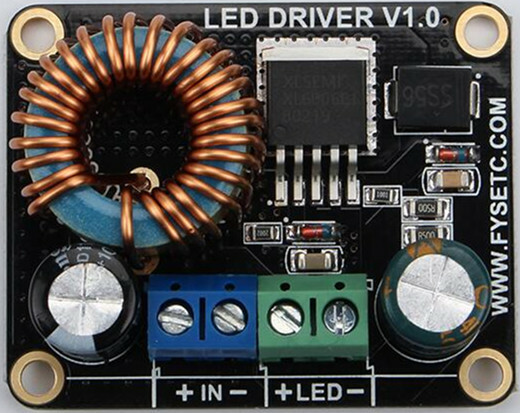 FYS Boost LED Driver is an economical and easy to use driver with a maximum output of 60V/5A (requires you to replace the Rs resistor). 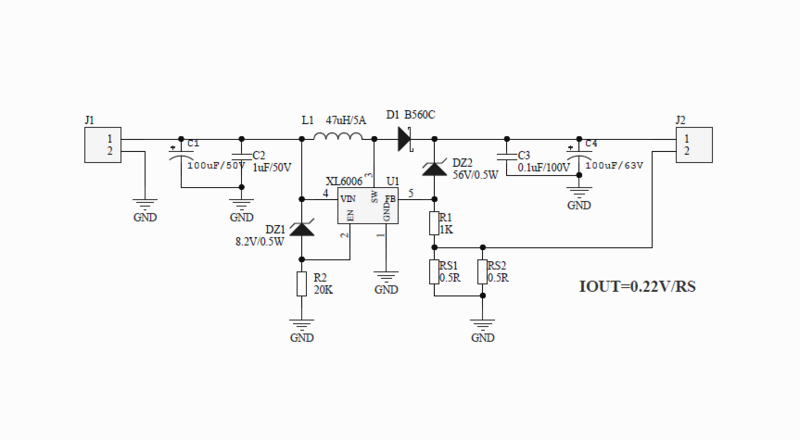 By default, a 900mA ± 5% current output is available for 30W LEDs (10 parallel 3 series) modules. 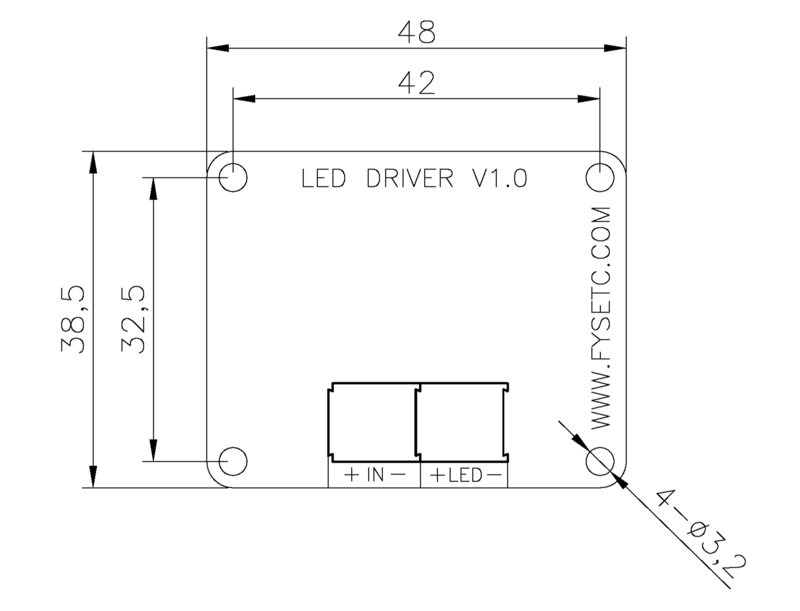 If a higher current is required, please follow the part of FAQ. Larger currents will cause the board to heat up, requiring good heat dissipation conditions, such as sticking heatsinks and adding fans. The company is not responsible for any damage or loss caused by the private modification of the board. 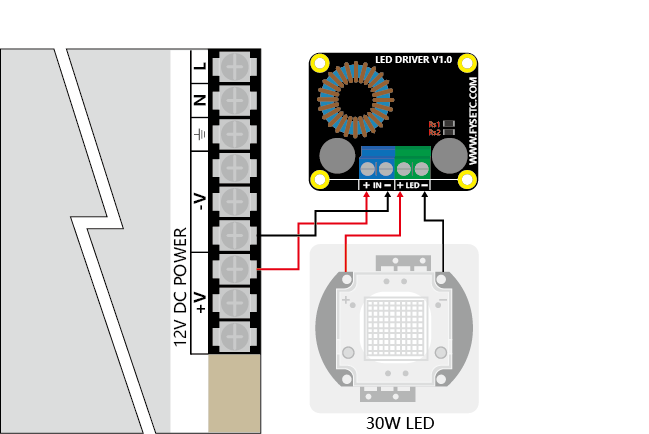 How to change to a larger current output manually? If you want to change to other current outputs: 1. you need to have the soldering tool and the corresponding soldering skills; 2. you need 1 or 2 1206 resistors, the resistance can be based on Iout = 0.22/Rs; 3. you only need Remove the two resistors labeled Rs on the board and replace them with the resistors you need for the current output.